Located in Hull, this eco-friendly hotel is within 3 mi (5 km) of Jacques Cartier Park, Canadian Museum of History, and Maison du velo. 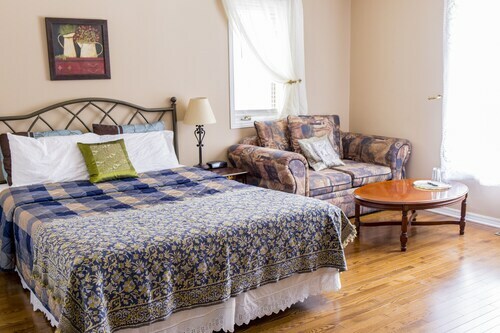 Located in Ottawa Division, this spa hotel is within 6 mi (10 km) of Canadian Museum of History, Parliament Hill, and Byward Market Square. Carleton University and University of Ottawa are also within 6 mi (10 km). 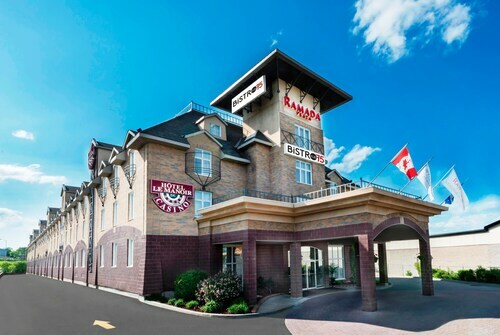 Located in Ottawa Division, this golf hotel is within a 15-minute walk of Promenades de L'Outaouais and Gatineau Sports Centre. Gatineau Water Aerodrome is 2.2 mi (3.5 km) away. 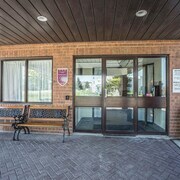 Located in Ottawa Division, this motel is 1 mi (1.6 km) from Promenades de L'Outaouais and 2.9 mi (4.6 km) from Canadian Museum of History. Gatineau Water Aerodrome and Gatineau Sports Centre are also within 3 mi (5 km). 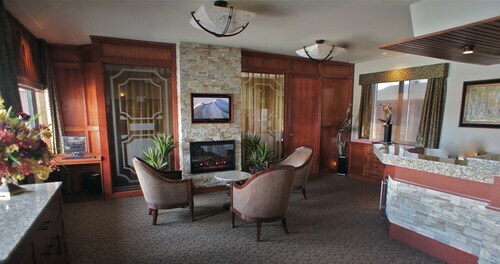 Located in Hull, this golf motel is within 3 mi (5 km) of Canadian War Museum, Parliament Hill, and Byward Market Square. Canadian Museum of History and National Gallery of Canada are also within 3 mi (5 km). 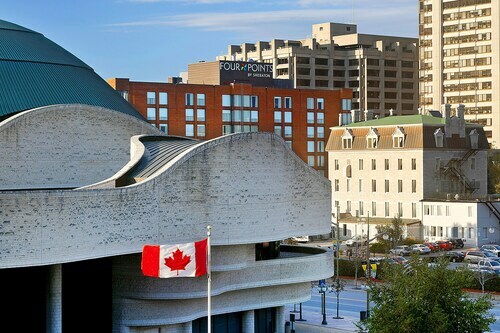 Located in Hull, this hotel is within 2 mi (3 km) of Jacques Cartier Park, Canadian Museum of History, and Canadian War Museum. Byward Market Square and Parliament Hill are also within 3 mi (5 km). 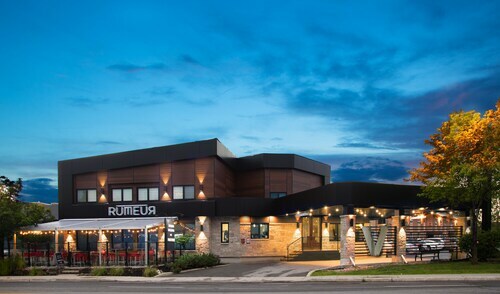 Located in Ottawa Division, this motel is 0.6 mi (1 km) from Promenades de L'Outaouais and within 3 mi (5 km) of Gatineau Sports Centre and Gatineau Water Aerodrome. Maison du velo and Jacques Cartier Park are also within 3 mi (5 km). 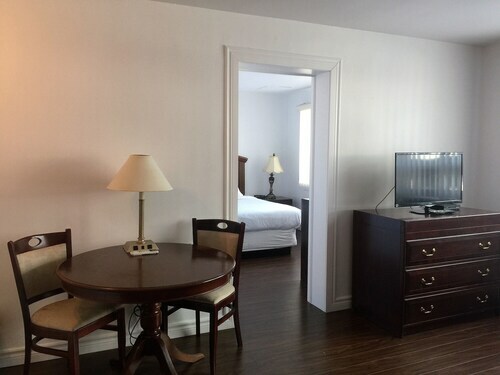 This family-friendly Gatineau hotel is located on the waterfront, within 3 mi (5 km) of Jacques Cartier Park, Byward Market Square and Parliament Hill. Canadian Museum of History and National Gallery of Canada are also within 3 mi (5 km). 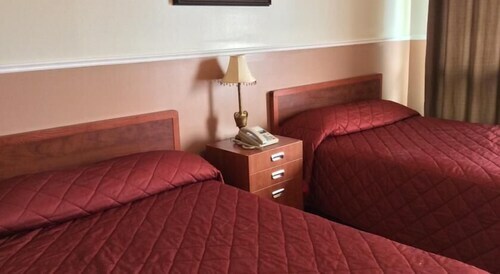 Located in Ottawa Division, this motel is 3 mi (4.8 km) from Gatineau Sports Centre and within 6 mi (10 km) of Gatineau Water Aerodrome and Promenades de L'Outaouais. Byward Market Square and Parliament Hill are also within 9 mi (15 km). How Much is a Hotel Room in Gatineau? 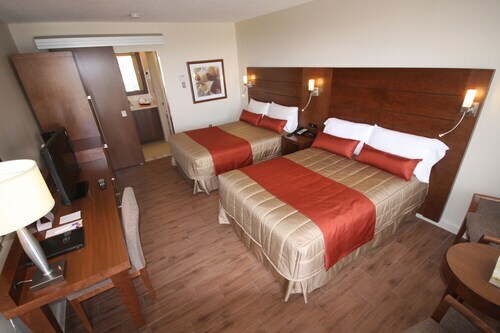 Hotels in Gatineau start at C$65 per night. Prices and availability subject to change. Additional terms may apply. Pack your bags—it’s time to embark on a getaway. Whether you’re craving a solo retreat or promising your family a vacation to remember, book one of the best hotels in Gatineau. These hotels are located within easy access of the city’s hottest attractions and entertainment, so you won’t miss a beat while you’re in town. Spend the days exploring the local landmarks and the evenings getting to know the nightlife. After exploring the city from top to bottom, rest up at a hotel that speaks to you. Find the perfect place that matches your trip’s vibe, from a trendy boutique to family-friendly accommodations. 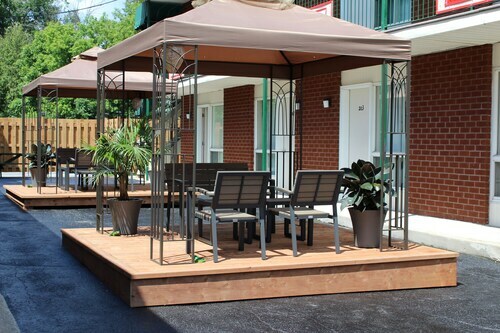 Allow us here at Travelocity to pair you with up Gatineau hotels that suit your vacation preferences. Discover places with convenient on-site restaurants, around-the-clock service, and pools where your kids can make a splash. Some hotels may boast fitness rooms and spa services, while others feature game rooms and Wi-Fi access. To top it all off, you’ll score cheap hotels in Gatineau that let you spend more on your activities and less on your lodging. Book and bundle your flight and hotel deals together today and save up to $537. It’s time to explore a new city, and break out of your routine. The staff was very friendly. The rooms were clean. No parking. No front desk. Check in 3 blocks from room. No signage in building where rooms actually are. That $5 breakfast voucher will get you toast and coffee in a restaurant 3 blocks away. The people working at the REAL hotel 3 blocks from the building were nice, helpful, and apologetic (almost as if they are designed to dealing with angry people). I will never use Travelocity again to book a hotel. 1.0 This motel does not have hot water. This motel does not have hot water. I would avoid staying here if you like to take a shower in the morning, unless you like freezing cold water. I will certainly never stay here again and would advise you not too as well. 5.0 A lovely place to stay in the Ottawa area. The B and B was in a lovely, quiet setting. Our hosts were very welcoming and helpful. The breakfasts were delicious and substantial. Our room was well equipped and comfortable.